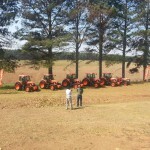 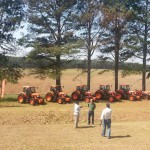 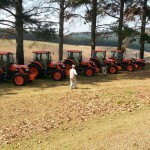 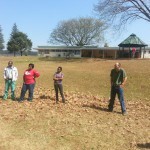 A consignment of the new tractors was recently delivered to Mondi in KwaZulu-Natal by FMS of Pietermaritzburg. 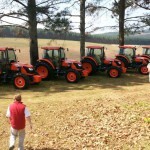 At the forestry company’s request, the creep range option has been fitted for planting operations. 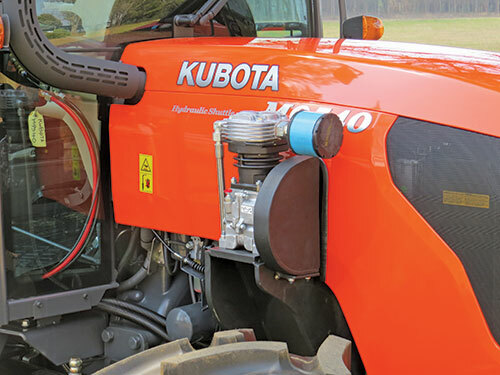 This provides an additional six low gears with operational speeds as slow as 300m/h. 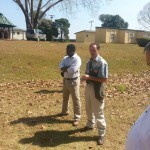 (Left to right): Gerson Ndanganeni, (Mondi area manager), Dean da Costa (Mondi silviculture technical manager) and John Handman (FMS commercial manager) discuss the Trelleborg Agroforest tyres. 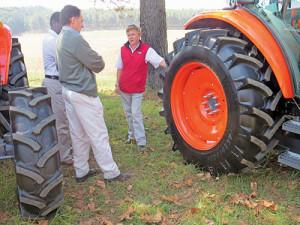 Special Trelleborg Agroforest tyres were also fitted – 12-ply at the front, 14-ply at the rear. Dean da Costa, Mondi’s silviculture technical manager, says that, on a recent visit to Brazil, he saw for himself the effectiveness of these tyres in forestry operations. 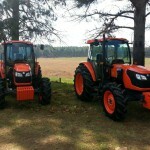 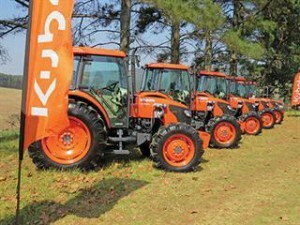 First reports from Mondi are that the Kubota M9540 tractors are proving to be driver- friendly, comfortable and powerful. 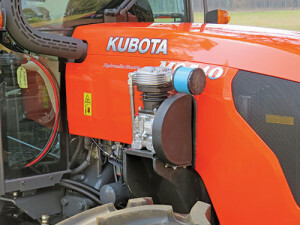 Kubota was established in Japan in 1890 and now claims to produce the second-highest number of tractors in the world annually. 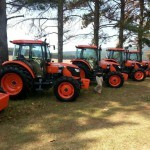 The biggest manufacturer is India’s Mahindra & Mahindra. 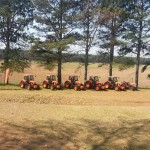 John Deere is the leader in sales value, but not unit numbers. 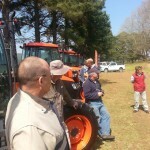 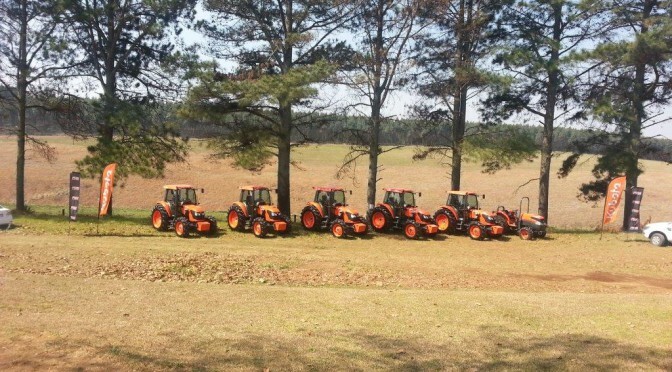 Well-known for its small tractors, Kubota is now focusing on larger units, including the sizes most popular in SA. 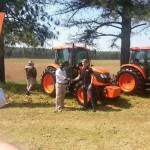 It has also acquired Norway’s Kverneland implement company. 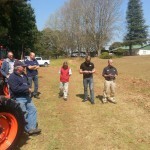 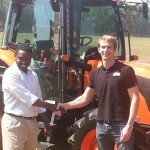 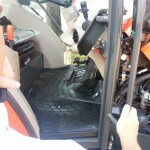 Kubota is distributed in SA by Smith Mining Equipment. 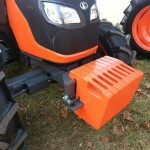 As the tractors would be towing trailers on steep terrain, Mondi specified a fail-safe air-operated trailer braking system. 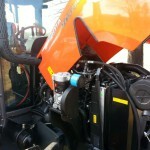 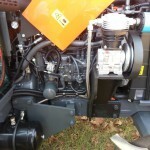 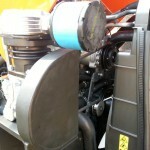 The tractors have been fitted with compressors and air reservoirs. 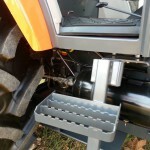 The trailer brake set-up has a handbrake control lever as well as a system operated by the tractor brake pedal. 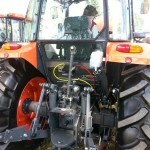 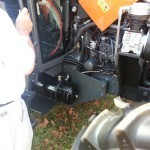 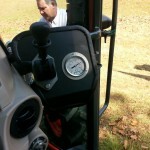 This ensures that the trailer’s brakes are always applied before those of the tractor.